Summary: This fascinating book is based on true events. It is 1972. Sabine and her family live in Uganda, where her Bapu owns a prosperous coffee farm. She lives a privileged life, going to school, and spending weekends on the farm dancing with her best friend, Zena. General Idi Amin has recently seized power in a coup d’etat. While many people love Dada Amin, he has decided that in only 90 days all foreign Indians must leave Uganda – and their homes, businesses, and possessions – behind. At first, Sabine is not worried – she and her family are Ugandan citizens, not foreigners. 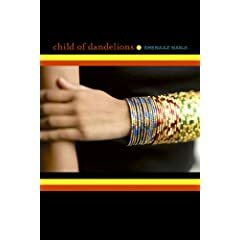 But when her beloved uncle and others begin to vanish, Zena begins to distance herself, and Amin’s soldiers begin openly terrorizing Indians, Sabine realizes that she, too, is considered a ‘child of dandelions’ – to be weeded from Uganda at all costs. As the countdown continues, things become more and more dangerous for Sabine and her family – but how can they leave the only home they’ve ever known? Who will like this book: Fans of historical fiction, and people who like to read stories with strong, daring girl characters. If you like this, try this: For another book about an ‘unknown’ story from history, take a look at Lizzie Bright and the Buckminster Boy by Gary D. Schmidt. Also read Keeping Corner by Kashmira Sheth, set in colonial India, for another story featuring a brave young woman. This entry was posted in Diverse Voices, Historical Fiction. Bookmark the permalink.